Winzeler Stamping | Custom Metal Stamping for the Appliance Industry I Winzeler Stamping Co.
As a custom metal stamping company with diverse manufacturing capability, we are ideally suited to meet the needs of the appliance industry. 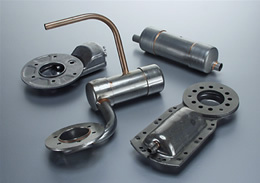 Our competencies with hose connection applications, combined with our deep draw and contract metal stamping expertise, make Winzeler Stamping Company the perfect partner to manufacture components which meet the precise and demanding challenges associated with manufacturing household appliances and HVAC units. 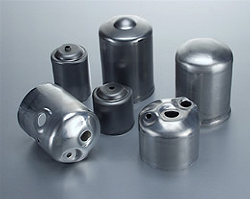 Winzeler Stamping Company possesses in-house tooling capabilities a full service Design and Engineering team who will take time to understand your needs and develop appliance-specific custom metal stamping that will meet or exceed your expectations. We have decades of experience producing products ranging from simple brass and steel ferrules to complex, multi-operation assemblies required for some appliance applications. Our team of skilled, in-house tool makers will build your tool and maintain it for the lifetime of the part. Maintaining a standard of quality, performance, service, and value with our customers is important to us! 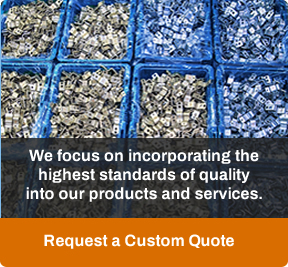 If you are looking for a manufacturer with a long tradition of excellence and reliability, Contact Us today.